Seen a cheaper price for a product elsewhere? It's right to shop around for products you are looking to buy. We monitor our prices daily against our competitors to make sure we are offering our customers the best possible value. As we are a manufacturer of Slatwall we know we can offer the best value Slat Panels you will find, and this is backed up by our excellent customer service experience. Price match only valid before purchase. 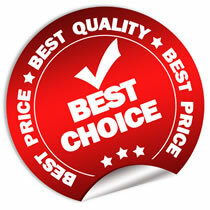 ** We cannot guarantee to price match non-slatwall items, although we do our best to try.